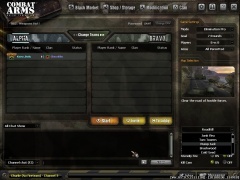 Combat Arms, the free to play first person shooter from Nexon, launched almost a year and a half ago. Since then the team has been pushing out monthly updates to the game, adding content and features like new weapons, kits, and even cooperative modes. 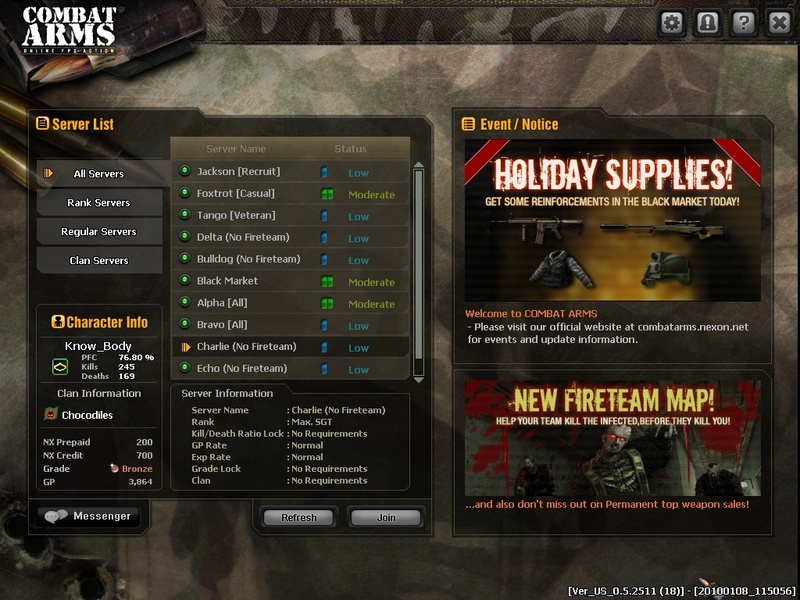 Now Nexon is set for the biggest update to the game yet, a complete overhaul of the user interface. 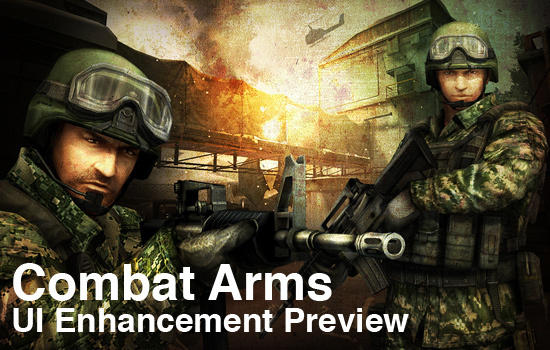 Co-Optimus sat down with Graham Kays, Producer for Combat Arms, for an exclusive first look. 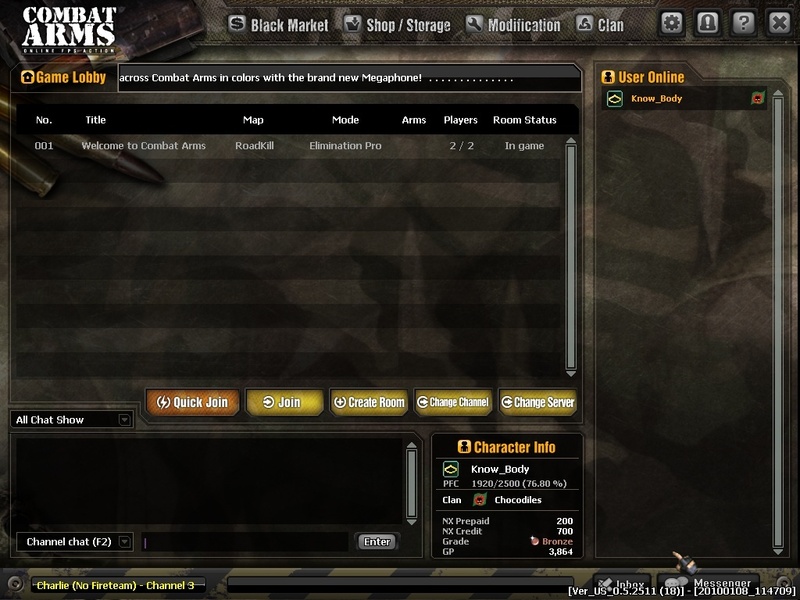 If you've played Combat Arms, you know the focus of the game is on character customization and options. From different kits, accessories, and weapons - there's always another item to purchase either using in game currency or real money to further customize your experience. 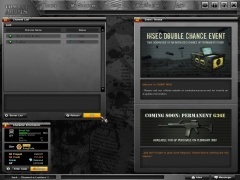 When Combat Arms launched, the game had 30 guns available. By May of this year that number will increase to over 200. It was apparent that the current interface wasn't going to cut it anymore. "We needed to revisit the UI and streamline the experience from what we've learned in the past year and a half," said Graham, "we want people to be able to modify weapons and inventory quickly." So while weapon load outs and inventory screens should be quicker, it's actually acquiring those weapons that people have found so cumbersome. Nexon has a solution for that. 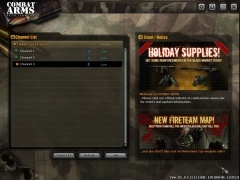 The shops have been outfitted with search functionality as well as sorting options including filters and other options. This should make it easier for players to find the gun they want to purchase. Old interface - Rollover to see the new interface. Another common complaint people had was it was hard to determine whether a weapon would cost them real cash or in game credits. The new interface should streamline this as well. Graphically the interface is more modern looking, though it still doesn't scale to your monitor's native resolution. For us here around Co-Optimus, we only want to play the game's Co-Op Fireteam modes, but sometimes it can be an excercise in frustration to find an open lobby in one of the game's many servers to play on. 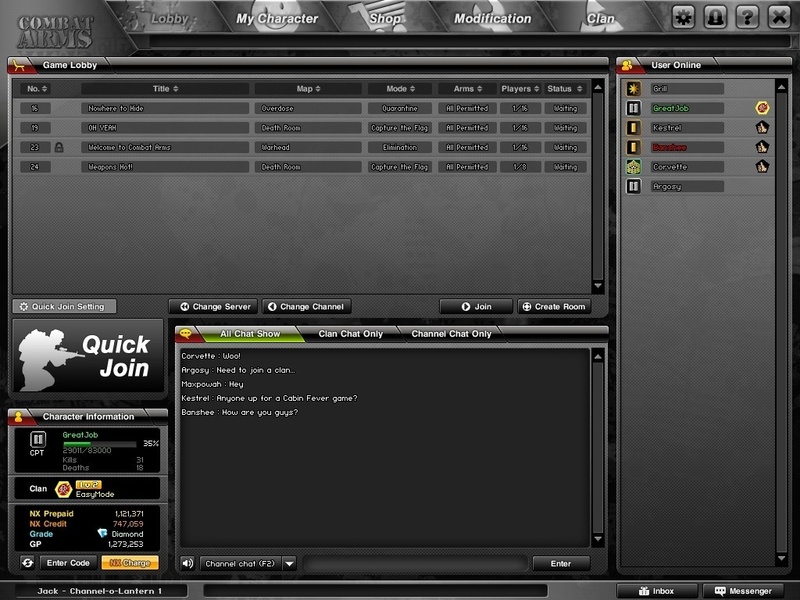 I asked Graham what the chances are for a "quick game" option in Combat Arms. "That's actually something we're working on, though it may not make it in this update," said Graham. 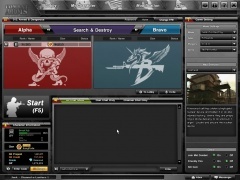 Players will be able to choose a few pre-selected filters and click quick game and automatically be joined to the best available game type of their choosing. Combat Arms players will be able to get their hands on the UI update on February 3rd. 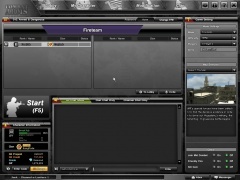 Combat Arms has refreshed their UI to provide users with a more streamlined experience. 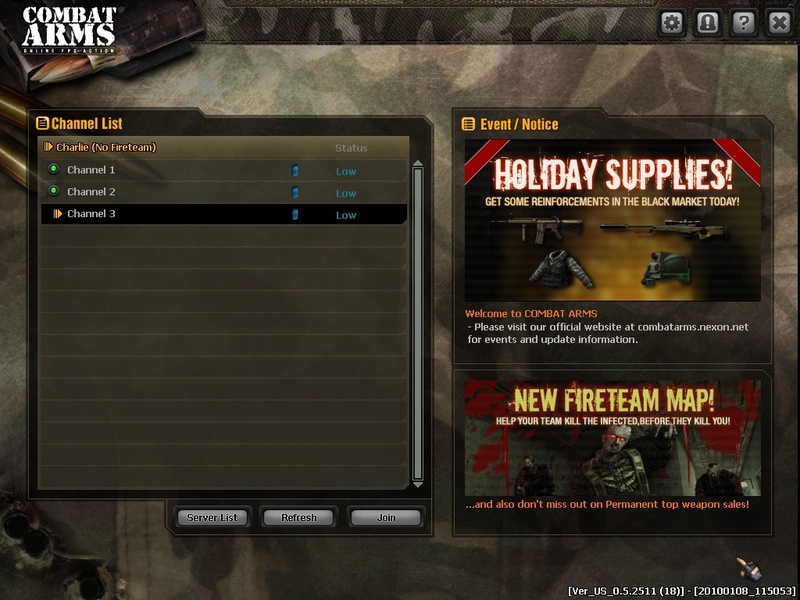 As the number of weapons and gear items increased in Combat Arms, we felt it necessary to refresh the UI to accommodate our growing inventory. 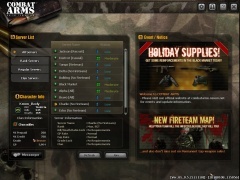 The new UI is built to support the hundreds of weapons, gear, mercenaries, and other items Combat Arms now offers. Aesthetically, users will be able to enjoy a more modern and industrial look to Combat Arms. 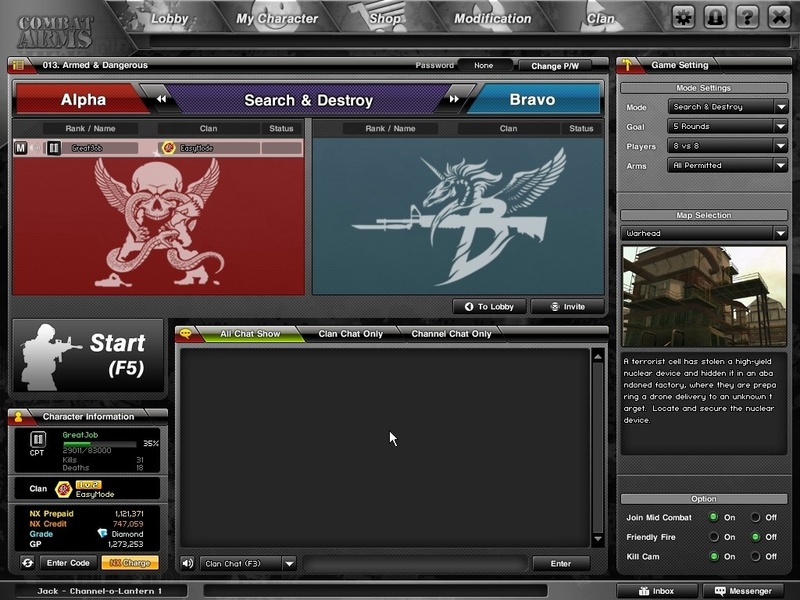 · Search function added; now it’s easier than ever to find your favorite weapon and quickly re-outfit between matches. · New item categorization to make finding and filtering items a snap. Want to just see Shotguns? No problem. · Multiple sorting options: sort by Name, Type, Price, or Rank. · Easier navigation. Top of the page tab navigation makes it easier than ever to get where you want to go. · All items in one place. Now all weapons and items are present in one integrated shop. No need to switch back and forth between the GP Shop and the Black Market in order to see the entire arsenal of weapons available in Combat Arms. 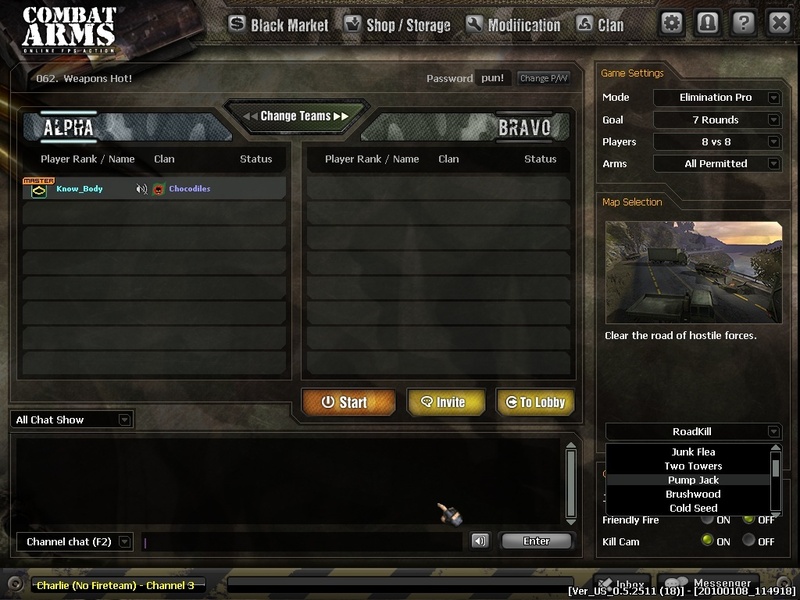 · Chat window added in the shop, so that players can stay connected to the conversation while they are outfitting. 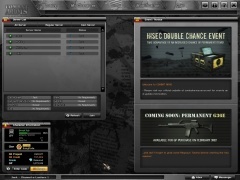 · A listing of weapons in the player’s inventory. 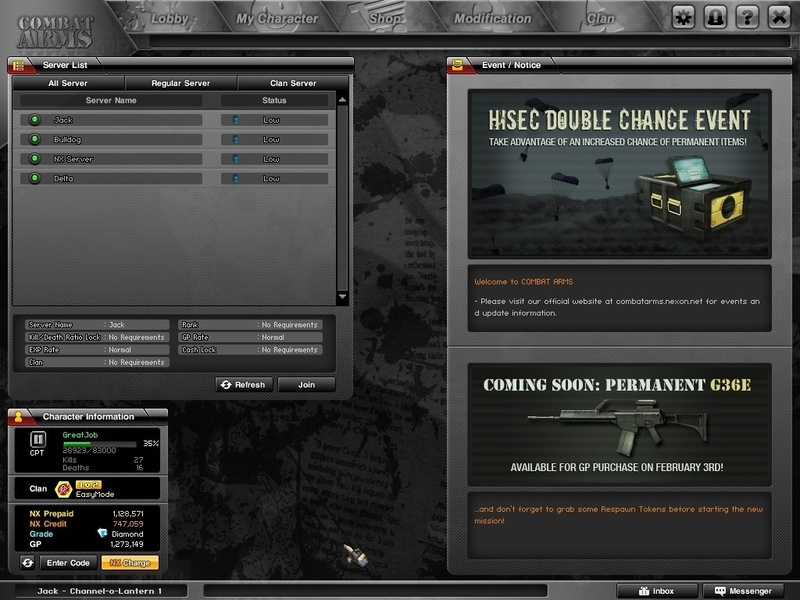 It makes it much easier to see at a glance all the weapons and the types of modifications that they can use. 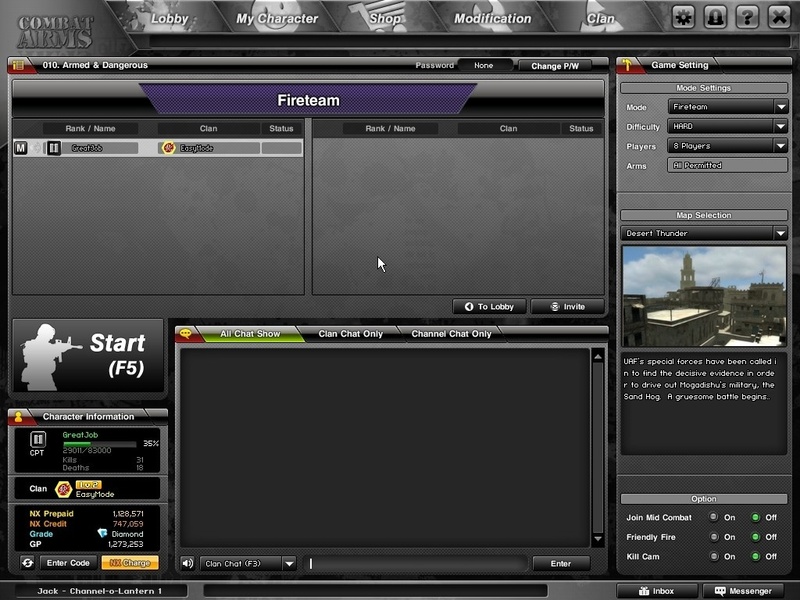 · Chat window added so that players don’t miss out on lobby conversations. 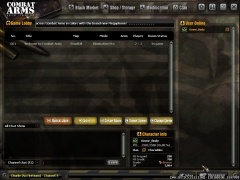 · At- a- glance listings of both your modifications inventory and the modification shop. The screenshots below show the new version along with the old version of it.